Tonight or I should say this morning…I am back home at the mission house in Busia. It’s almost 3am here now, but my body is still on Georgia time…not Africa time! Since I couldn’t sleep I decided to look back over the pictures I’ve taken recently. As I looked at the dates I realized how much happened in just a short time. 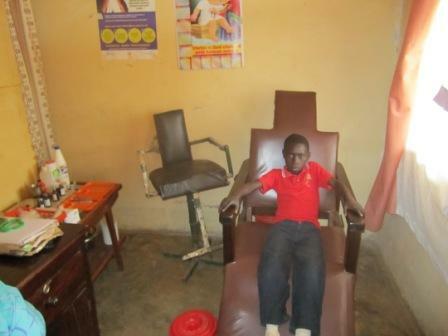 This is a picture of a little boy named Matthew who attends one of our bush schools. All inside Matthew’s mouth was infected and I was able to take him to the local dentist. Here he is in the dentist chair. Let me assure you that this picture does not do justice to how dirty that room was, but for a 6 year old little boy it didn’t matter…all he knew was that this was the place he was going to get helped. I knew the help he was being given would not correct all the damage done from lack of nutritional foods in his little life, but it was a starting place. This is the picture I took the next day. This is a wooden box that is holding the body of a 10 year old little girl from our church named Doreen who died from Malaria. 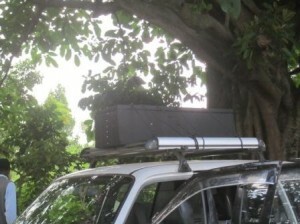 We tied the box to the roof of Pastor Moses car and drove out to the bush village where her grandparents lived and buried her. All the way there I kept thinking how the abnormal is becoming somehow normal to me. Doreen’s funeral was the first tearless funeral I’ve ever attended. She had contracted Malaria when she was one year old and it affected her in many ways. She never talked or walked….she lived 9 years after Malaria caused her severe disabilities and then ultimately died from Malaria she contracted just before her death. No one cried because they spoke of how she had been a burden to her family. Although her Mother had done the best she could, she was happy Doreen had gone home to heaven and was no longer suffering or having to be cared for. This is a part of my life here that will never be normal to me….death is taken so lightly because there is so much of it. As they picked her little box up and walked to a freshly dug grave out in a field….I cried. I will always remember her with her head lying on her Mothers shoulder during church each Sunday. Her grave was not marked….a new crop will be planted over the top of it and life goes on. The next day nothing could have prepared me for getting the news that Dr K had gone home to heaven and within 24 hours I was on a plane headed home. I got the call that he might not live long a couple of hours before then. I went out on my porch crying out to God to not let him die. I told God about all of the things he talked to me about that we were going to do when he got back in October. I looked around me at everything he had accomplished when he was here and I just couldn’t imagine him not coming back. 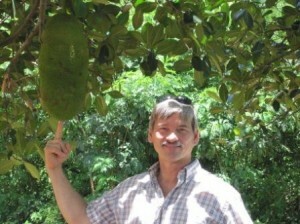 He had me take this picture of him with this fruit called JackFruit. He told me that people back in the states didn’t know what jackfruit was and he wanted to show them…so here you go….now you know. Helping Hands is moving forward with all the things Dr K wanted to accomplish….a team is coming in October to put the roof on our church. He was so excited and he told me that he couldn’t wait to preach the first sermon in the new church. Yet, God had other plans for Dr K and He took him on home. Needless to say these were 4 days of emotional heartaches. Yet, getting home….seeing my family was indescribable. Not only seeing my family…but being in my home church and seeing my church family….what a joy! I went from heartache to pure happiness. Although I was sad for the reason I had traveled home, I was blessed to see my sweet family and friends. It was a wonderful time being home. This trip showed me that it takes others sacraficing for me in order for me to come home for a visit. Just think…I have to totally depend on someone for transportation, phones, etc…there even had to be someone on that end that could book my airline tickets home since I couldn’t do it from here. I am most blessed by all of you being in my life. Thank you to my family who rearranged their lives to fit me and my schedule into their already busy lives and supplied my needs like driving me where I needed to be or letting me use their vehicles or their phones. For stocking my refrigerator and cooking for me….and taking me to do special things. Thank you for each one who came and told me they were praying for me daily and for each one who gave financially. I can never tell you as often as I’d like the peace I have knowing each of you are part of this work here in Uganda. I continue to be honored to represent each of you as together we accomplish God’s work here. Thank you to the 4 best counselors/accountability partners and dearest friends a missionary could have. Thank you for continuing to walk this pathway with me…loving and encouraging me all along the way. For taking the time to spend time with me, feeding me and bringing me flowers. You will never know what each of you mean to me. Thank you to a special bible fellowship class that surrounded me with love and encouragement right after I left for the mission field. I got to know most of you through your messages of encouragement here on the mission field…long before I met you when I came home last week. What a joy it is for me to now be a part of your class. Thank you for the wonderful welcome home you gave me. This list could go on and on…my life was blessed by so many in such wonderful ways. I look forward to seeing all of you as November will be here before we know it! Please continue to keep me in your daily prayers, and please continue to pray for Dr Brenda and everyone at Helping Hands as we continue seeking God’s perfect will. I am sitting here this morning in Lula, Georgia…now 8000 miles away from Busia, Uganda. Listening to the sounds of nature that I love so much here. The quietness of the morning blending with the early sounds of nature starting its day. I can’t help but think if I can find such solitude and peace here on earth, how heaven must be like. 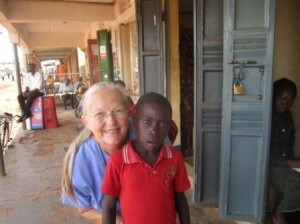 Today is day 4 in heaven for my fellow missionary Dr Richard Kowalske (Dr K). As the fullness of the last 4 days with my traveling home to attend his memorial service has not allotted much reflection time, I find that this morning my thoughts continue drifting to heaven and what it must be like for him. For those of you who might not know Dr K and his wife Dr Brenda are the founders of Helping Hands Foreign Missions which is the organization that I serve with. 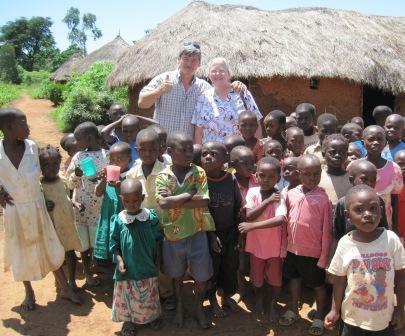 They spent the month of July with me in Uganda where they lead teams of more than 40 short term missionaries. Unknown to Dr K, he contracted Malaria during his stay and this past Saturday, the Lord took him home. Heading Home in…98 days….or 3 months, 6 days…or 14 weeks…or exactly 2356 hours…Lord willing! The Life and Mission of Joy Breedlove is powered by	WordPress 3.4.2 and delivered to you in 0.154 seconds using 40 queries.